Compass Associates Business Support team nominated for IRP Award! Compass Associates are delighted to announce that our Business Support team have been shortlisted for The IRP Awards 2018 Back-Office Support Team of the year. 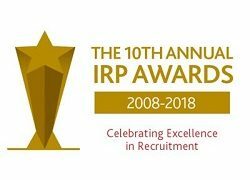 The IRP Awards celebrate best practice of individuals and companies across the recruitment sector and this year marks the 10th anniversary of the awards. Over the last eight years, our Business Support team has grown from one HR & Finance Administrator to a team of seven including; Director of HR & Communications, Kate Fairbrother, Head of Marketing (Compass Associates), Lily Parke, Head of Marketing (Compass Executives & Compass Corporate Services), David Bland, HR Advisor, Cassie Pay, Office Manager, Maria Saunders, Credit Control, Adrian Dewane and Receptionist and Administrator, Maisie Platt. 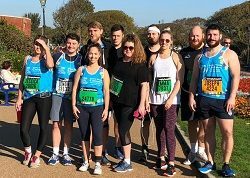 Great South Run Business Challenge 2018 for Naomi House! 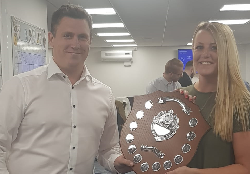 Compass Associates are thrilled to have completed another Great South Run Business Challenge 2018 for the fourth year in a row. Our biggest team yet took on the South’s premier road race, taking in the historical and modern landmarks including HMS Victory, the Spinnaker Tower and Southsea Castle along the 10 mile route. The team were yet again very fortunate with the weather, enjoying a very sunny and mild day on the south coast however, a little windy along the seafront! In the medium sized business category, our teams came 7th and 9th respectively which is a fantastic achievement as this was the first time some of our runners had completed the run. We are delighted to have exceeded our fundraising target for Naomi House and Jacksplace having now raised over £1000 for the charity. The money raised will go towards providing support for children and young adults with terminal and life limiting illnesses and their families across the southern counties.